New India Manthan: Sankalp Se Siddhi programme organized by KVK Gandhinagar on 29/8/2017 at Gujarat Vidyapith campus Randheja, Gandhinagar. 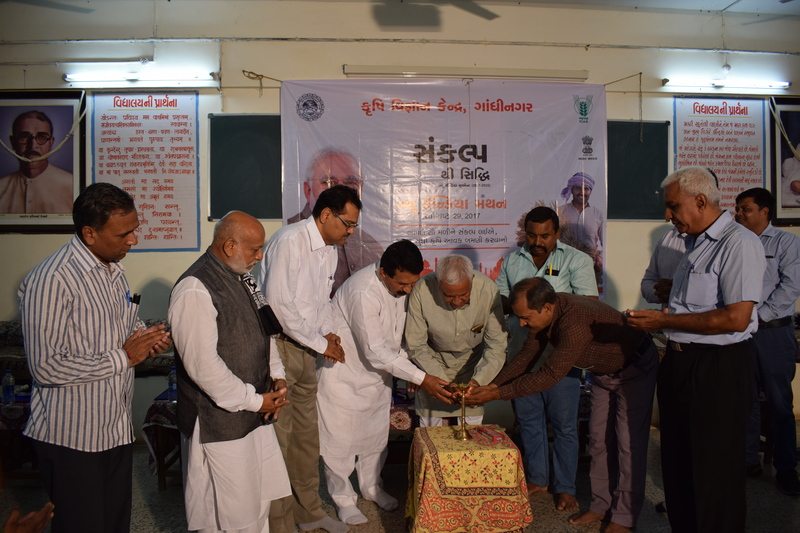 Hon'ble Deputy Speaker of Gujarat Legislative Assembly Shri Shambhuji Thakor was the Chief guest of the programme. 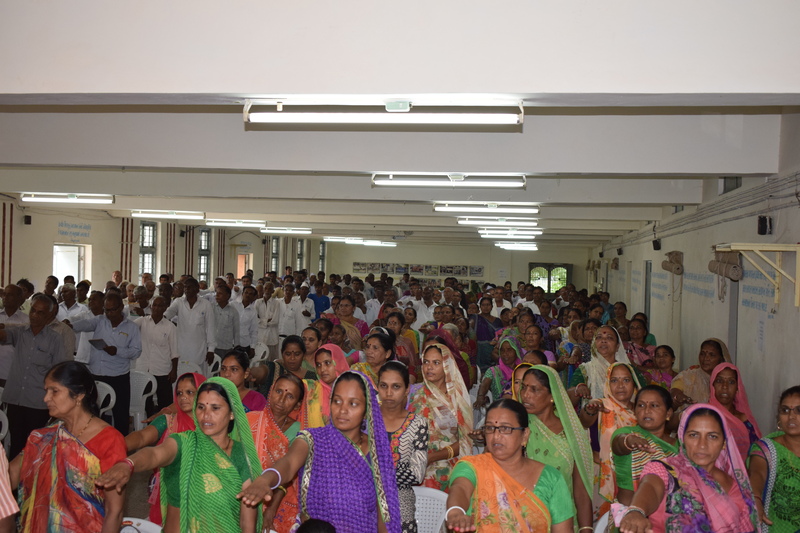 Other dignitaries were present are APMC - Chairman, DDO, Gandhinagar, Vice Chancellor - Kamdhenu University Gandhinagar, Research Scientist- SDAU Dantiwada, Lead Bank Manager, Project Director ATMA, officials from District line departments. Dr. V.K. Garg Sr. Scientist & Head KVK welcomed guests and briefed about the programme. Hon’ble Chief guest Shri Shambhuji Thakor emphasized the efforts being made by central and state govt. for farmers welfare and double the farmers income by 2022. 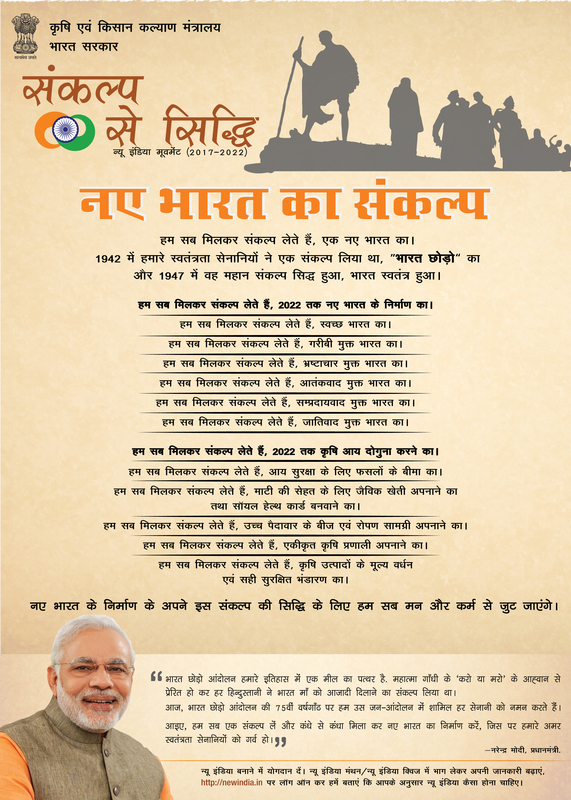 New India Pledge, Hon’ble PM’s message, Inspirational Film, Expert talk were the main component of the event. Media coverage done by DD Girnar, Ahmedabad, which was telecast during Krishi Darshan programme on 06/09/2017 5.30PM.